Looking for a unique display to attract attention and share your branding in a fun and engaging way? Then take a look at nuReflection™. This one of a kind device creates an AR (Augmented Reality) display without the need for a mobile device or goggles! 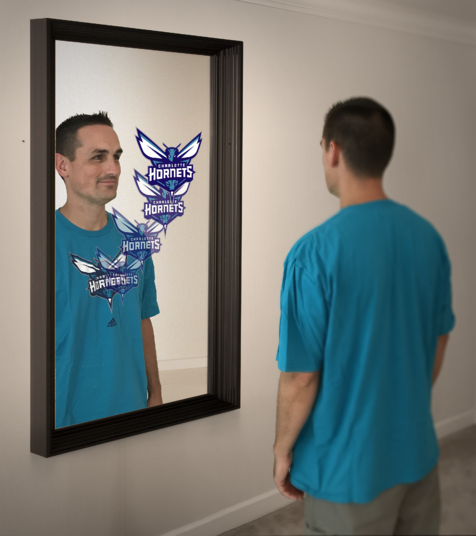 It is triggered when any predetermined marker, such as a logo, color, persons face, or just about anything else, appear in front of the mirror. A custom animation, video, or other marketing message is then overlaid on the display, leading to some very intriguing possibilities. What Can Trigger The Mirror? And any other predetermined marker! Want to know more about nuReflection? Let us know!